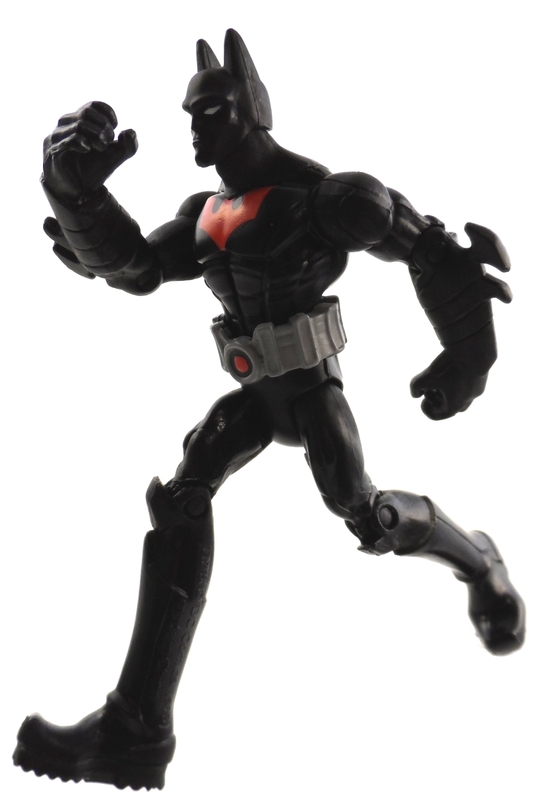 The Basic Batman 3 3/4″ line has a new wave starting to hit stores and we’ve got one of the figures from the line, Batman Beyond! 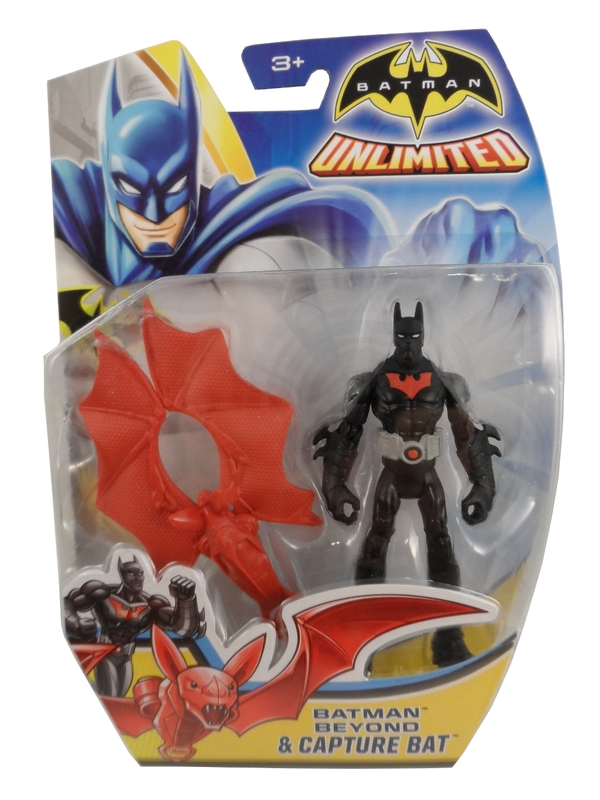 This wave of the figures has “Unlimited” added to the Batman logo and they each come with an animal accessory. 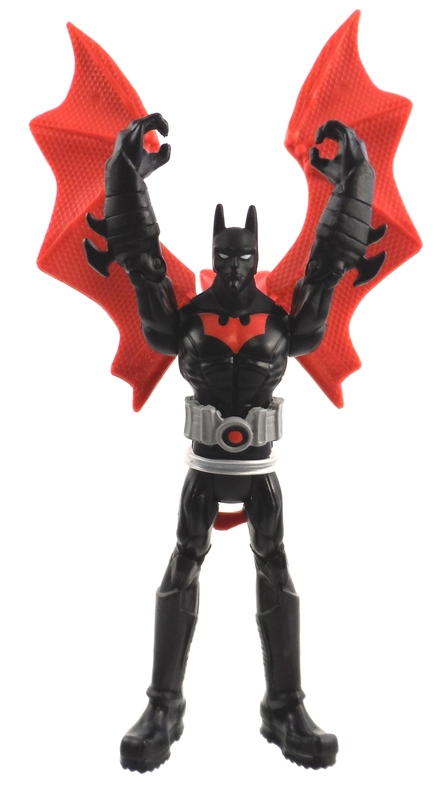 I assume this is to tie into the upcoming Batman Unlimited: Animal Instincts animated video. 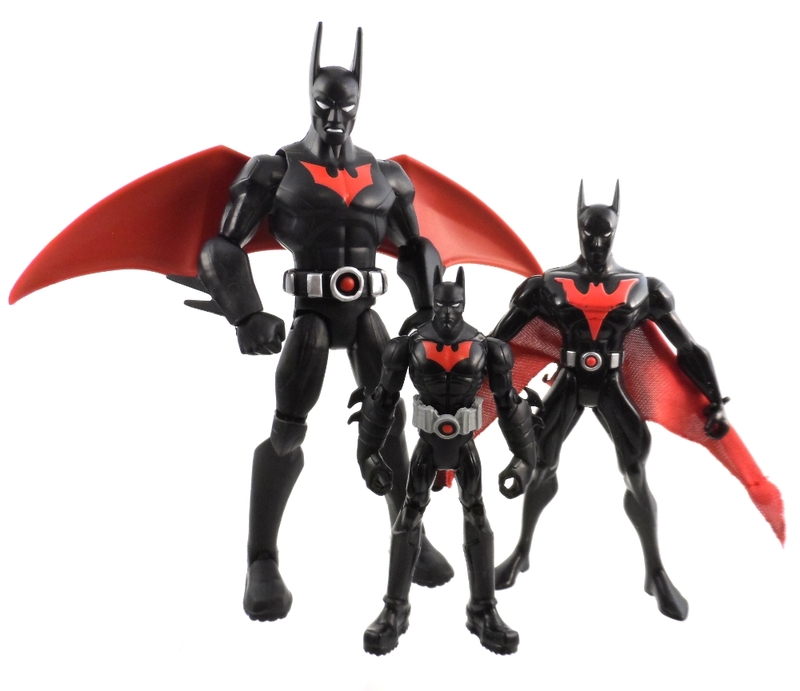 Like all of the other figures in this line, Batman Beyond has the same body sculpt as the other Batmen with a new belt and head. 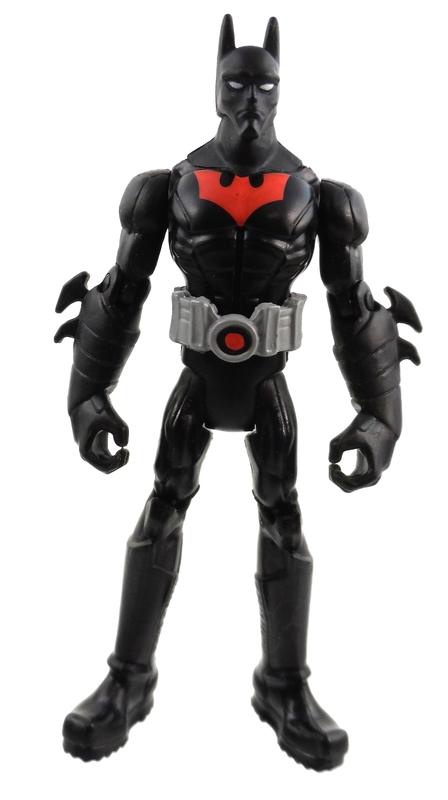 It appears this figure is the same Batman Beyond figure that is included with the large 7 figure gift set at Toys R Us. 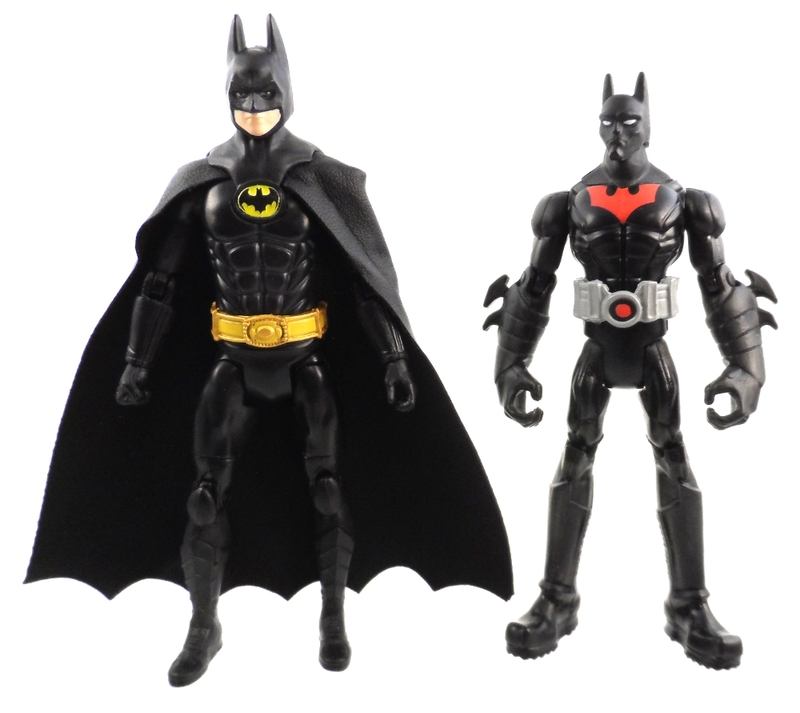 Also like all of the figures in this line, there’s only 9 points of articulation, Swivel Neck, Shoulders & Hips and Hinged Elbows & Knees. 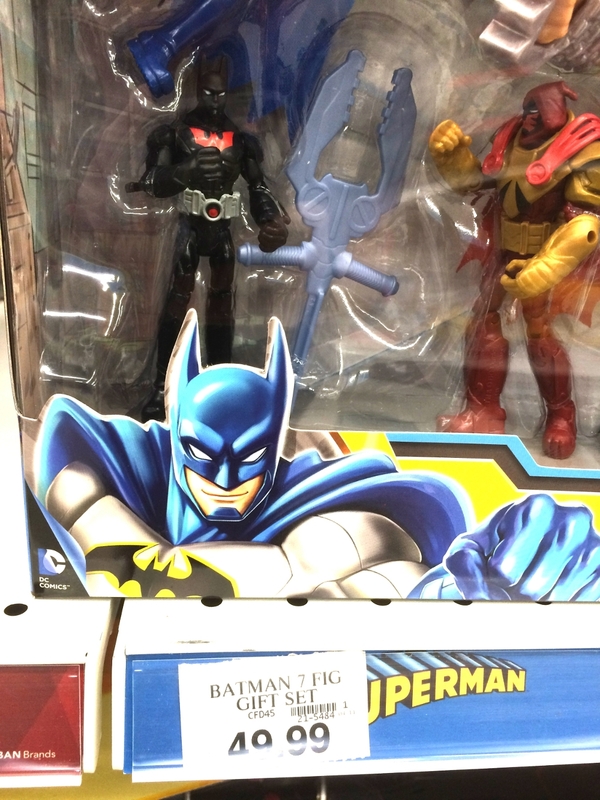 This does limit the poseability of the figure a bit. 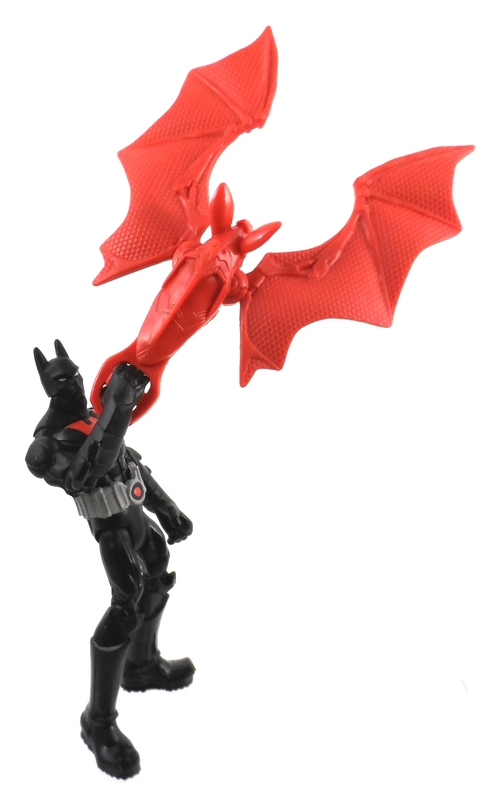 Batman Beyond comes with a Capture Bat accessory. 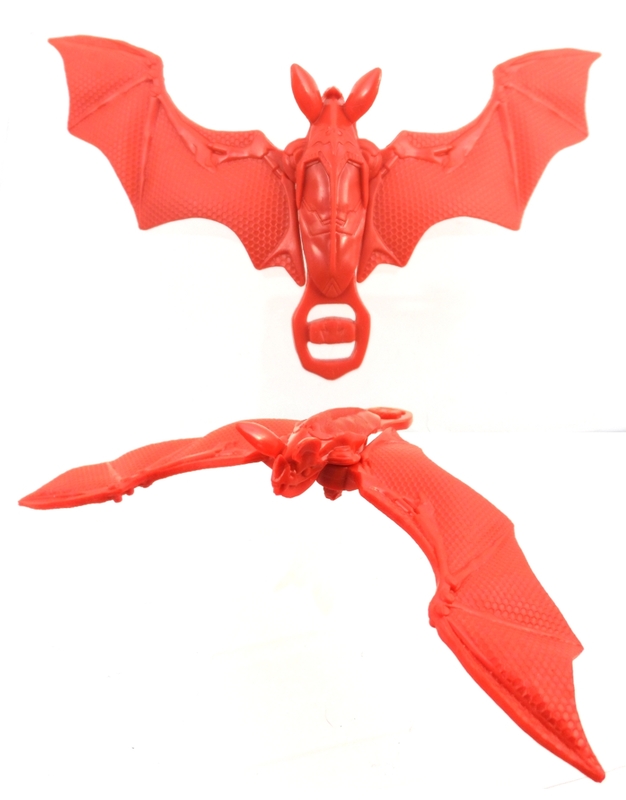 The bat has a handle on the tail and the wings can swivel open and closed to “capture” enemies I suppose. 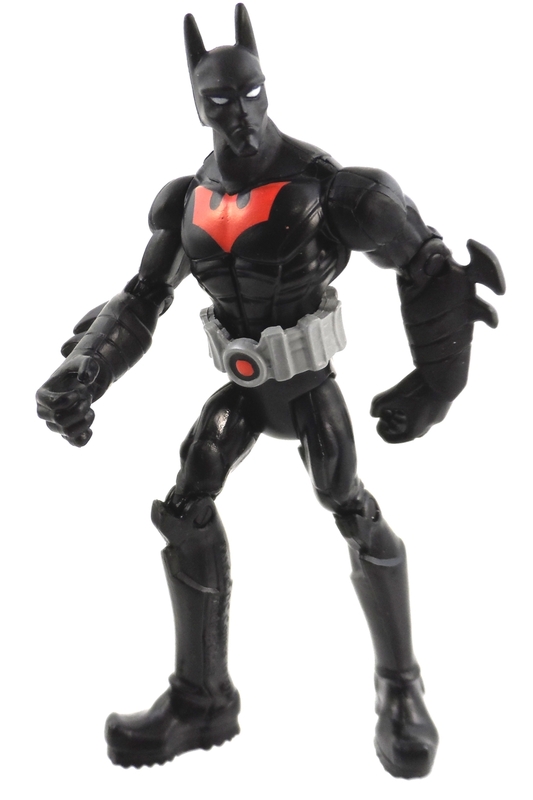 Batman Beyond stands a little shorter than the 3 3/4″ DC Multiverse figures, course if you think of this as a teenager standing next to an adult, the size difference could possibly be explained away.